Mr. Pahlitzsch is our Vice President of Casual Dining. He has more than sixteen years of restaurant managerial experience. He has an A.A.S. degree in Computers and a B.S. in Hotel/Restaurant Management from the University of Nevada – Las Vegas. Mr. Pahlitzsch also was selected to attend and receive training from the Ecole Hotelier in Switzerland. Upon completion of his schooling, Mr. Pahlitzsch joined Bennigan's. There he became the youngest General Manager in their history, and within three years was promoted to Executive General Manager. After spending six years at Bennigan's, he moved to the Applebee's concept in May 1995. At the time, Applebee's International had one store open on Long Island, New York. Kurt quickly proved himself there and in November 1995 was appointed to open the second Long Island Applebee's as its General Manager. Within six months, he was promoted to Executive General Manager. After helping open three additional stores, Kurt was promoted by Applebee's International to District Manager of the Long Island Region in August 1997. In May 1998, Applebee's International sold its Long Island Region to Doherty Enterprises. Mr. Pahlitzsch came on board and helped transition the existing stores, maintaining profitability and continually building store morale. He also was instrumental in the continued growth of Doherty Enterprises' Applebee's franchise by opening three stores in less than one year. Kurt was promoted to Director of Operations in 2001, and was responsible for three Area Directors on Long Island and two in New Jersey. In March of 2011, Kurt was called upon again to step up to a newly created Vice President of Specialty Restaurants Group, responsible for Shannon Rose, Chevys, and Spuntino Wine Bar & Italian Tapas. In this role, Kurt's fierce drive and entrepreneurial spirit, complimented by his knowledge and modeling of our company values and operations, helped him lead the specialty concept growth and development. 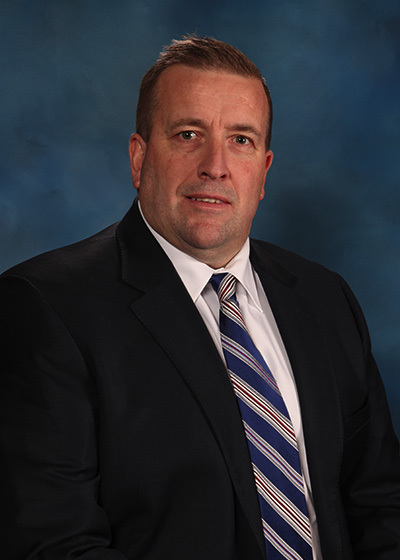 In January 2014, Kurt became the Director of Franchised Concepts. In 2017, Kurt was promoted to Vice President of Casual Dining and oversees Applebee’s, Chevys and Quaker Steak & Lube.